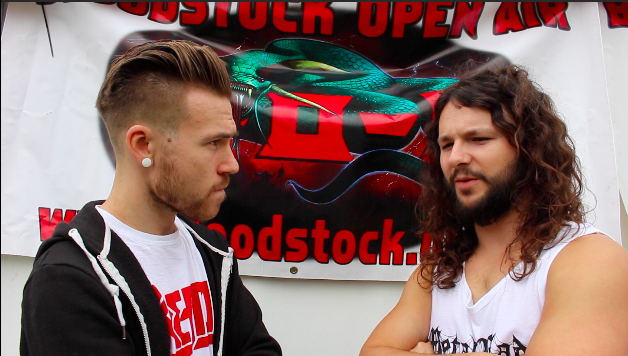 Speaking to the delightful Ben Savage at Bloodstock this year, I asked the guitarist just what is going on in the Whitechapel camp. Whitechapel, a band that have long since become a household name over in the states. Embodying the sense of “Deep South heat” to coin a phrase, its incredible to think that this is the first time the band have played Bloodstock Festival. It was also the first time since 2011 that the band had performed without long time drummer Ben Harclerode following his decision to leave the band last week. Though they might be more familiar to the western world, there are areas of the map where Whitechapel have yet to conquer. Journeying to South East Asia, it was the first time that the band would play in the likes of the Phillipines, Japan and even the controversial China. Exploring much of the unchartered world, this year has held some surprises for the band thus far. Not least to mention the recent line up change. Finding out all things that we might have missed so far in the Whitechapel camp, the absolute gent that is Ben Savage clued me in on just what they’re up to and most importantly, when the band will set out to write their follow up for Mark Of The Blade. Whitechapel are currently on tour and Mark of The Blade is out now via Metal Blade.